One of the things I look forward to this year is the continued exploration of a process called Transformational Conversations – where we co-create the space that calls forth our innate wisdom on a range of topics integral to this human experience. 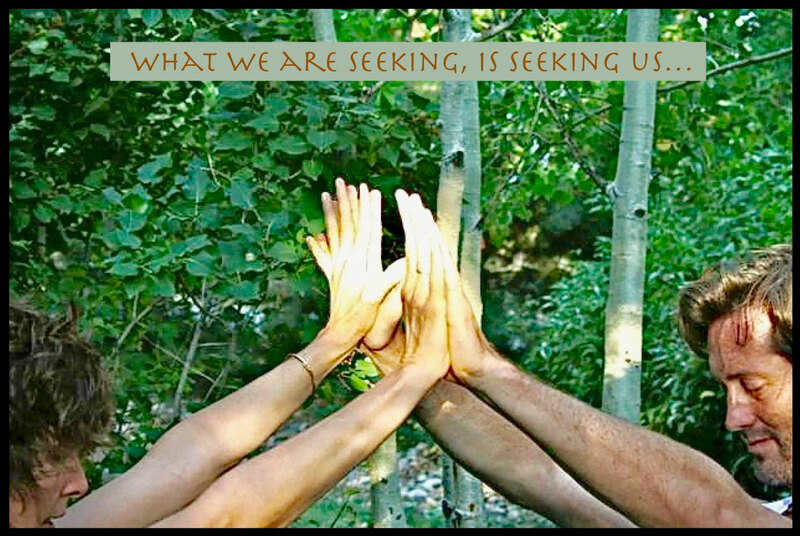 Included are simple, energy practices from Partner Yoga that open us to subtler realms of understanding. All are welcome, as we each bring unique and valuable contributions to the conversation – and we come from the same Source of Unlimited Intelligence. Simply asking such questions can be a giant leap into unknown parts of ourselves and calls forth inner knowing that we never realized we had. For myself, this inquiry has been extremely liberating, like breaking out of a prison that I had unconsciously created for myself. To realize the very feelings I have tried to push away, believing they were too much to bear, are actually my life-force / creative energy in disguise! Even though thoughts and feelings and the sensations they bring, still feel intense at times, I’m noticing I am not taking these intense feeling states quite so seriously anymore, and when I don’t take them so seriously, they seem to pass through with much greater ease. I see how we have been conditioned to resist certain feelings and to believe they mean something is very wrong when we feel them. While the truth is, it is a precious human gift to be able to feel everything deeply – even those feelings we have judged as unwanted. There is a part of me that has always known it is my own thoughts, feelings and sensations that I’ve been afraid of. It is not what has happened in the past, or what I fear might happen in the future, but my thinking about the past and future, and the resultant feelings / sensations this thinking creates in my present moment experience. This understanding / contemplation has been rocking my world – in a good way : ) We each live in our own thought created realities and knowing this in our own experience puts us back in touch with the power Source of who we are. Seeing beyond our experience to what is actually creating our experience is life-changing. We live in a very exciting time and the more we wake up to what is really true, the more we get to be the change we want to see and, the more we get to enjoy, rather than fear the changes / awakening happening on our planet. Feel free to email me any of your thoughts / questions on this or any other subject. I am available to offer individual support if you are unable to attend a public event.